September 2016: GCC and Cosain make joint submission on proposed Garda code of ethics. In August the Policing Authority published a draft Code of Ethics for the Garda Síochána and opened a public consultation. Under the Garda Síochana Act the Authority must put together a Code of Ethics for the Garda Síochána that includes standards of conduct and practice for Garda members and encourages and facilitates the reporting of wrongdoing in the Garda Síochána. (iii) in a manner that supports the proper and effective administration of justice. For vulnerable road users such as cyclists and pedestrians, policing is fundamental to the risks we face and to the sense of threat that many of us experience in using the roads on a daily basis. Perceived tolerance among higher Garda management for violent conduct in the shared public roads environment. The role of the Garda Síochana: Are they a police force or primarily agents of economic activity? The role of the courts. The introduction to the draft code of ethics envisages that the Garda Síochána have a role “in protecting the vulnerable and promoting a safe and peaceful society”. Definitions of “peaceful” include “not involving war or violence”. Definitions of “violence” include “intimidation by the exhibition of force” and “unlawful exercise of physical force”. If “peace” or “peacefulness” implies an absence of intimidation by exhibitions of unlawful force, then, from the perspective of vulnerable road users, the current Garda Síochána have manifestly failed in the way they police public roads infrastructure. In our submission we draw on the recent penalty points scandals and the ongoing speed camera scandal as creating a perception of a current Garda management culture that tolerates and approves of behaviours that put many in fear for their lives. On child safety the submission points out that, unlike other countries in Europe, the Irish State seems not to recognize a duty of care towards children using public roads. Nor does Irish law impose a specific duty of care by adults towards children. In German traffic law, for example, if a driver encounters a child, older person or person with a disability, then that driver has a duty to moderate their speed and be prepared to stop if necessary. There is no such law in Ireland. The submission points out that the state imposes a duty on children to attend school but does not appear to recognise a duty towards children travelling to or from school. Indeed, the opposite is the case: the state’s efforts seem concentrated on trying to create a “duty” among children towards adult motorists rather than the other way around. This official attitude to child safety has resulted in one of the highest rates of child pedestrian death in Europe, followed by restrictions in child mobility and large falls in walking and cycling to school. The submission asks if the current draft code of ethics would support Gardai who try to protect child road users at the expense of the perceived convenience of adult motorists. We also ask if the draft code creates an explicit duty on Gardai to protect children from threatening adult behaviours. Finally, we ask if the code vindicates the right of children to go about their lawful daily business and places a specific duty on Gardai to uphold that right. We then explore the role of the Gardai in their activities concerning road traffic. There is an impression that some members of the force see themselves as agents of economic activity first and see providing a police service as a secondary role. Evidence for this is provided in the widespread and persistent blocking of footpaths and cycle tracks by parked or stationary vehicles. There is a well-founded impression among observers that the Gardai tacitly approve of such behaviour on the basis that preferentially blocking cyclists and pedestrians is better than impeding “traffic flow”. 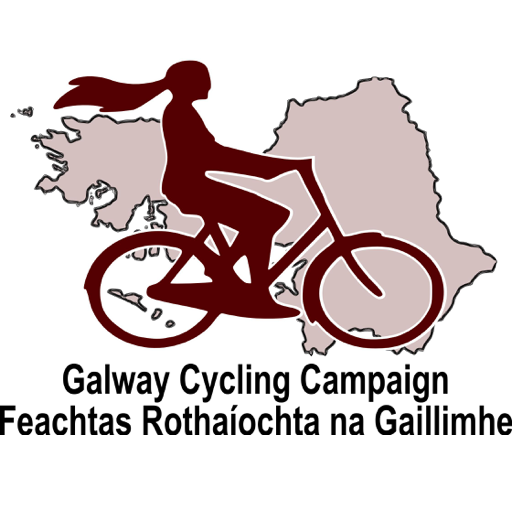 It can appear that the Gardai treat movements of motor vehicles as a proxy for economic activity, and treat movements on foot or by bike as having no economic value. The state already has other agencies that exist to further the interests of commerce. Is furthering commerce also a specific and primary function of the Gardai? If the answer is no, and if the Gardai are a police service first, then the code of ethics must protect individual Gardai in providing a police service. Finally, we raise the issue that the problem might also lie with the courts. Gardai may be discouraged from protecting the public because they perceive that their efforts will be treated poorly by the courts. Does the draft code of ethics empower Gardai to speak out if they are being undermined by the judiciary?